Holiday Bells - Polish Etc. 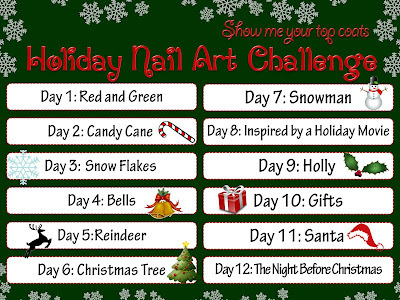 I learned several things while working on the nail art for today's challenge prompt. First, I learned that I prefer MASH or Konad plates to Bundle Monster. They just seem to have a clearer image. The second is that tiny bows are very very difficult to get just right. I really like the finished product but it just goes to show that sometimes even what seems like a failed mani at first can turn into something fun!